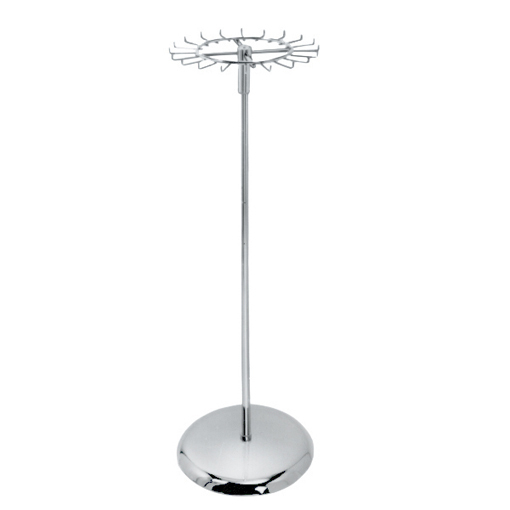 Chrome single tier revolving stand. Suitable for belts, ties, scarves etc. 19" diameter ring with 20 x 3" hooks. 54" high with 1" diameter upright on 18" weighted base. Mirror finish chrome.